Manchester United manager Jose Mourinho paid a glowing tribute to Bristol City's players after their stunning 2-1 Carabao Cup win ended his side's defence of the trophy, even though he insisted the Championship side were 'lucky'. Joe Bryan gave City a 51st-minute lead before Zlatan Ibrahimovic equalised shortly afterwards and with extra-time beckoning, Korey Smith was set free by Matty Taylor and smashed home the stoppage-time winner. 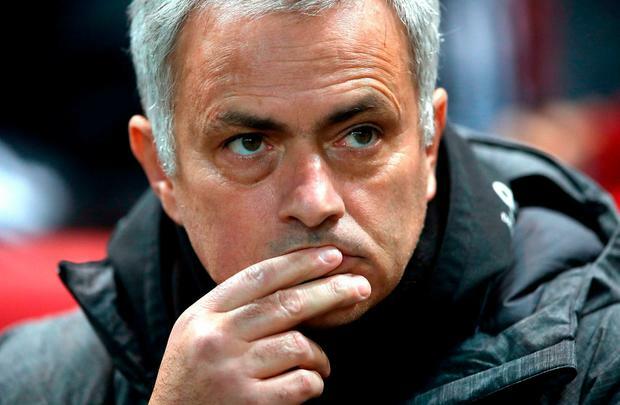 While Mourinho used the word lucky to describe Bristol City's triumph in his Sky Sports interview and in his written press conference, his tone was magnanimous and he offered warm compliments to Lee Johnson's side. "They were a bit lucky but they fought a lot to be lucky," he declared. "Everyone was waiting for our goal so they were lucky. "They win the game when we have no time to react, but they played brilliantly, they fought like it was the game of their lives which probably it was. A beautiful day for football. A team from the lower division won and get into the semi-finals. A big day for them and I congratulate them. "In the first half we lacked the intensity that they had. Physically and mentally. It was one more day in the office for my players, a day that some of them didn't even want to come to he office. "We hit the post twice and we were not so bad, but they were lucky to have the goal in the last minute. We know how to win, how to lose. They are a good team, so I saw congratulations to them and good luck for the semi-final. "The reality is that the ones (players) that were on the pitch were the ones that were not in the last match (against West Bromwich Albion on Sunday) and are the ones that not going to be in the next match. "I think they lost a good opportunity also to play semi-finals and also to have two more matches to play. But I don’t want to blame the players at all because I think they were professional – it wasn’t a case of ‘we don’t care about the game’ or ‘we don’t have responsibility’ or ‘we don’t have pride’. "I think they showed they had that after the 1-0 and they had that until they scored the second goal in the last few seconds and we had no chance to react." Bristol City boss Johnson produced an excited run down the touchline to greet his side's late winner, reviving memories of Mourinho's famous charge down the touchline after his FC Porto side beat Manchester United in 2004. When he recovered his breath, the youthful tactician offered up these words of elation to sum up the best result of his coaching career, as he follows in the footsteps of his father Gary who also managed Bristol City to success during his in charge at the club. "It's an overwhelming feeling of pride, to beat Manchester United is incredible," said Johnson. "They are a special group. It has been a long time since we had a result like that at Ashton Gate. "The lads didn't want to go into extra time and the scenes that winner set off were unbelievable. My dad always says he's the most successful Bristol City manager so I have maybe pushed him close tonight!" Bristol City now face the daunting prospect of a two-leg Carabao Cup semi-final against Premier League leaders Manchester City, with Arsenal and Chelsea set to square off in the other semi-final.